If nothing else, Leftists are persistent and patience. My preacher dad said for decades his annual Methodist conference voted down ordaining homosexuals. Who could have imagined that the anti-biblical idea would eventually win enough yes votes to begin ordaining homosexuals. And yet, it did. The anti-America Black Consciousness movement has been clamoring for decades for blacks to self-segregate — seems like I remember them demanding to be given North Carolina or some other nonsense. With movies like Black Panther filling black youths heads with America-hates-you-crap, ten years from now, will massive numbers of blacks seriously seek to separate themselves? In the Dr Martin Luther King, Jr days of the civil rights movement, Dr King dreamed of a colorblind America in which people were judged by the content of their character rather than the color of their skin. Dr King dreamed of black kids and white kids joining hands in brotherhood. Decades ago, Democrats hijacked the civil rights movement; insidiously polarizing Americans along racial lines for selfish political gains. Democrats’ want every new generation of black Americans to believe evil racist white America is out to get them and blacks’ only hope is to always vote for Democrats. Leftists who run the modern civil rights movement have shattered Dr King’s dream of national brotherhood and equal rights for all Americans. Leftists are seeking racial revenge against whites, deceptively marketed as “social justice”. In essence, Leftists say you whites have been in power far too long. Now it is time for you to feel what it is like to be suppressed. A preacher’s kids begged him to allow them to see a popular R rated movie because it only had a small amount of bad stuff. The preacher asked his kids. If I made you brownies with a tiny amount of dog poop in them, would you eat them? While the Black Panther movie is an excellent production, it is filled with dog poop; Black Lives Matter racially divisive lies. It is evil to sell black kids who have been blessed to be born in the greatest land of opportunity on the planet, the lie that their country hates them. Therefore, their only hope for success, dignity and pride is to embrace an Afrocentric culture and racial identity politics. 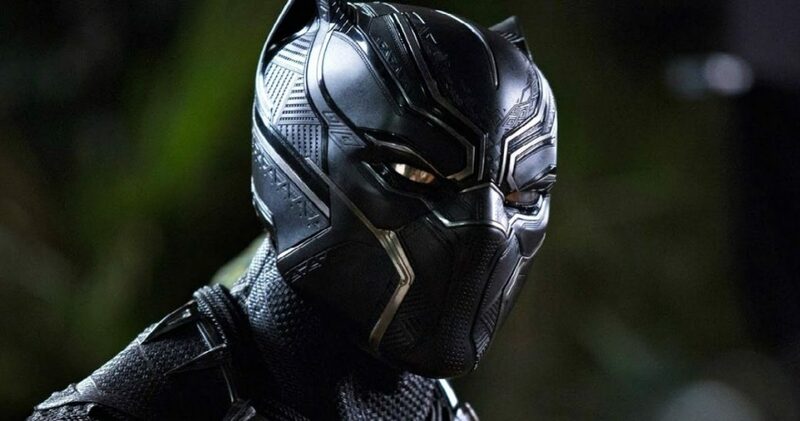 Unquestionably, the Black Panther movie is a voter registration tool for the Democrat party. Leftists are acting as if a movie featuring a fictional black comic book hero is blacks’ first opportunity to feel good about themselves. These same Leftists despise real-life black superhero role models like Supreme Court Justice Clarence Thomas, world renown retired neurosurgeon Dr Ben Carson and others. Extraordinarily successful real-life black superheros are hated because they prove Leftists are lying about racism keeping blacks down in America. Americans are great people who honor and appreciate character and excellence regardless of skin color. Dr Martin Luther King, Jr said, “I have a dream that one day — little black boys and black girls will be able to join hands with little white boys and white girls and walk together as sisters and brothers.” Dr King’s vision of racial unity realized in America is extremely repulsive to Leftists. Leftists, which include civil rights movement black betrayers, are striving to make Dr King’s dream of racial unity an impossible dream. Leftists are insidiously evil. Hypocrisy, Lies and the TruthThanks Progressive Crazies!